Can I limit my exposure to asbestos at my job as a firefighter? If you are a firefighter, you should be concerned about the dangers of asbestos to your own health—and to your family. While asbestos was phased out in the late 1980s, it is still used in many products, like drywall, joint compound, vinyl floor tiles, and siding. In addition, it can be found in homes built prior to the partial ban on using it. You cannot change the reality that you will be exposed to deadly asbestos when fighting fires. However, you can take precautions to reduce the hazards of exposure. Make sure your respirator has the correct level of protection and be certain an airtight seal is created when you put it on. Have areas where you will be working properly ventilated to reduce the number of asbestos fibers that become airborne. 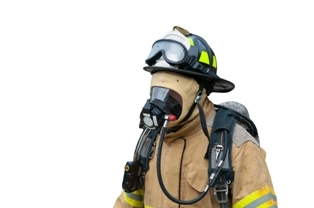 Wear your respirator when performing overhaul operations, such as searching for hotspots or fighting structural fires. Keep cleaning supplies, replacement filters, and replacement respirators in easily accessible areas so you and other firefighters can conveniently use them. Wear your respirator when opening walls. Avoid handling dry dust at a fire site. Only authorized personnel should handle it given the danger of toxic substances. After you have fought a fire, shower and change into clean clothes before returning home. Do not bring home exposed clothing to avoid harming your family. Wash exposed work clothes at your job in designated machines for two cycles. Register for routine health screenings through your employment if offered or have your physician arrange for these important screening tests. Even if you are careful, you could still develop a catastrophic illness from your heroic efforts to keep the rest of us safe. You may be entitled to workers’ compensation benefits to replace your wages and pay your expensive medical bills. You also could have possible claims against other liable parties. Call our firm toll free at 877-360-0183 to schedule a free consultation with workers' compensation attorney Manfred Ricciardelli.